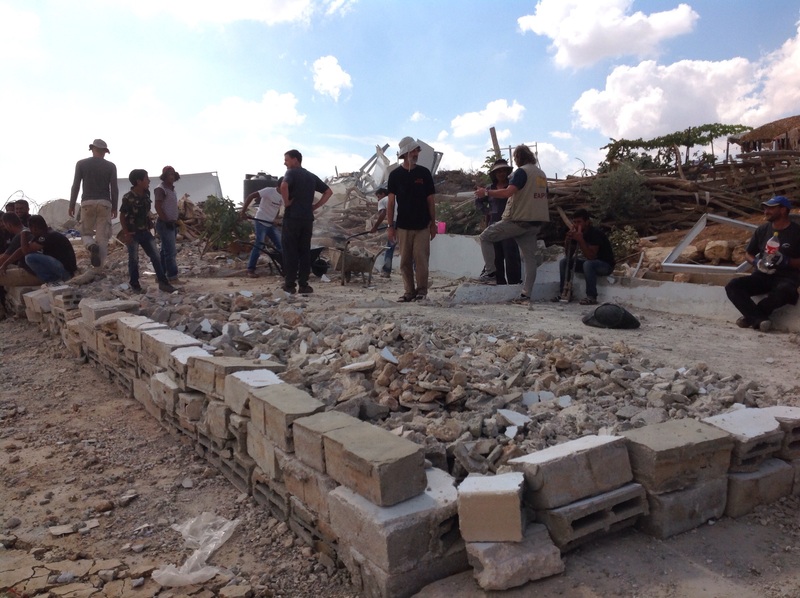 It has now been four days since the demolitions in Um al Kher. 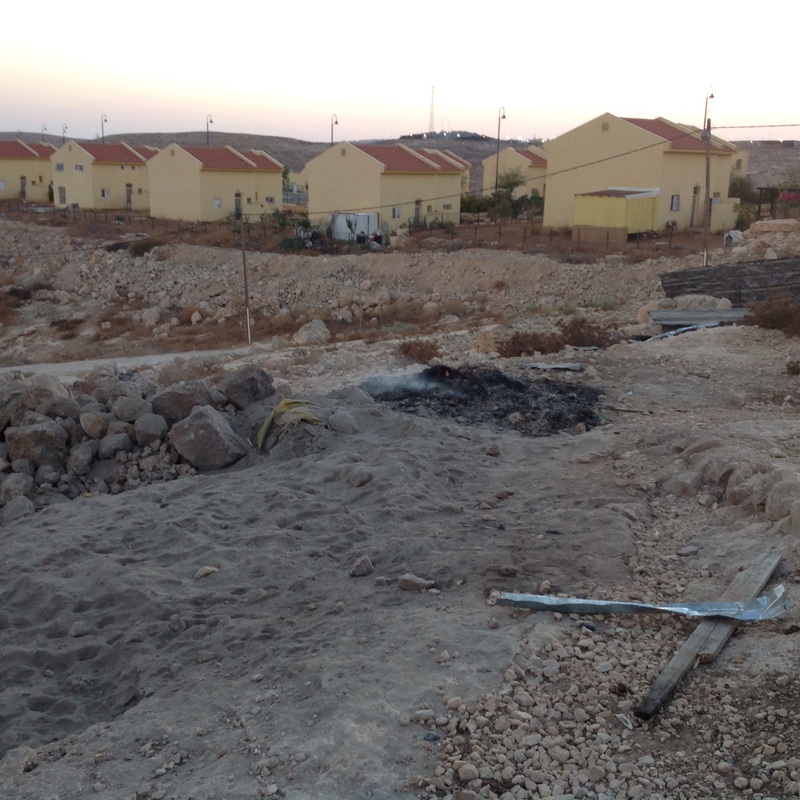 While the bulldozers have left, the suffering has just begun. My heart aches for those whose homes have been demolished. My heart aches that humanity can willingly and knowingly inflict such cruelty on other human beings. How can we be so brutal? So downright mean? And how, in a world of limited resources, can we as a species be so wasteful? These are questions that I, from my place of privilege, of plenty, of secure housing, can ask. For the villagers, these questions and others are present, but the more immediate concern is that winter is coming. It is essential to get things in place for the cold months ahead. Basic needs must be met. The first order of business was to immediately rebuild the taboun oven. The community needs to eat. 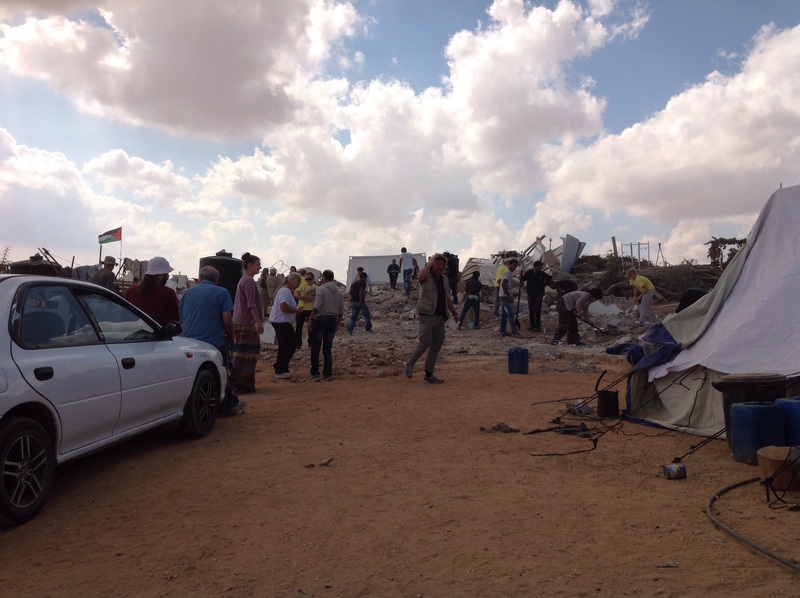 The Israelis arrived the day after the demolition and demolished the new taboun oven. There are plans to rebuild it yet again. After the second taboun oven demolition. While the demolition crew were there the second day, they also damaged a small olive tree and took out the electrical power to one of the village’s communal latrines (supplied by solar panels because the villagers are not allowed to hook up to the power grid that supplies the neighbouring settlement). The day before, they had broken the water pipe to the latrine. 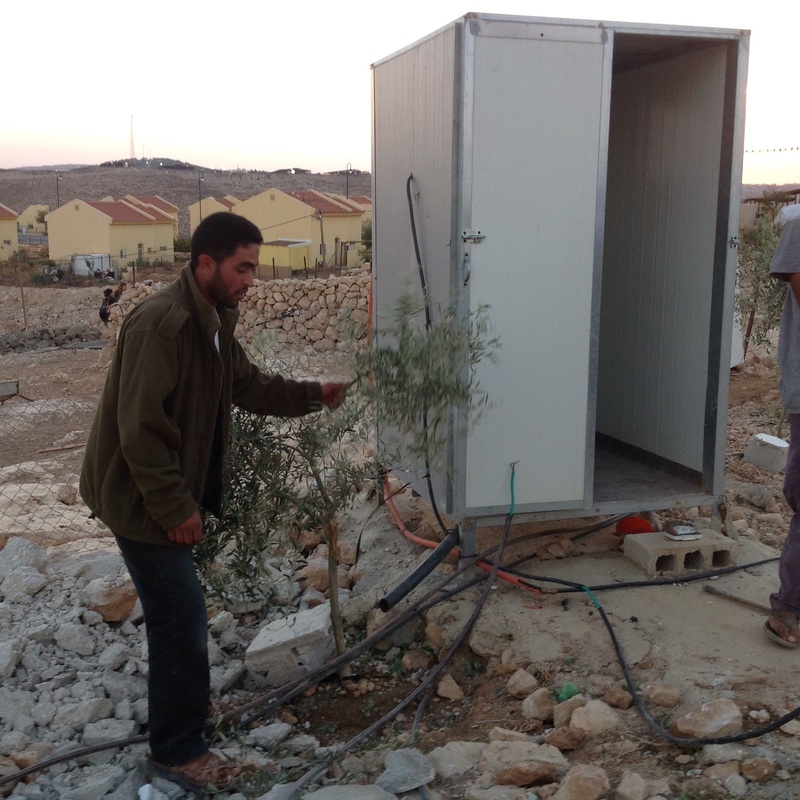 Iman’s husband Bilal holding the broken olive tree next to the damaged latrine. 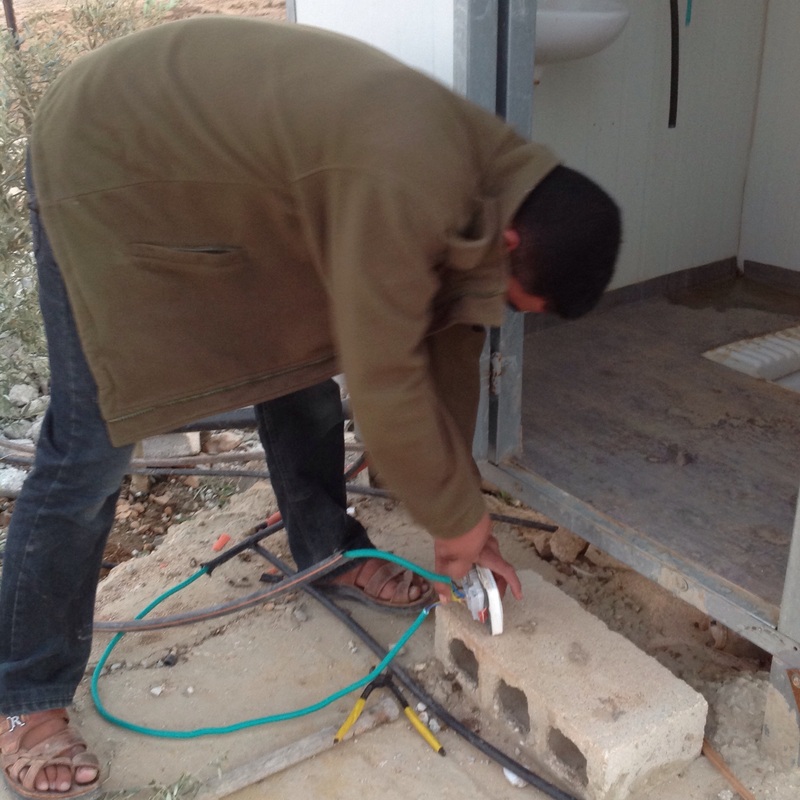 Bilal repairing the electricial wiring to the latrine. The day before, he had repaired the broken water pipe. The ICRC delivered emergency tents. They are helpful to serve as a temporary kitchen, but it is obvious that they will not provide adequate winter shelter. 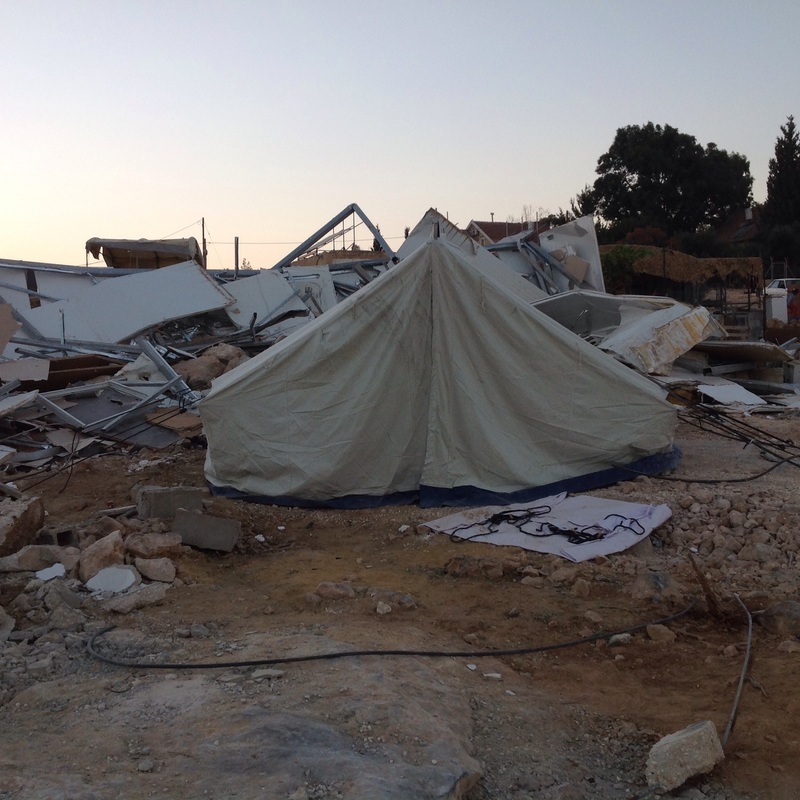 An ICRC tent placed in front of the rubble of Iman and Bilal’s home. The interior of the tent. 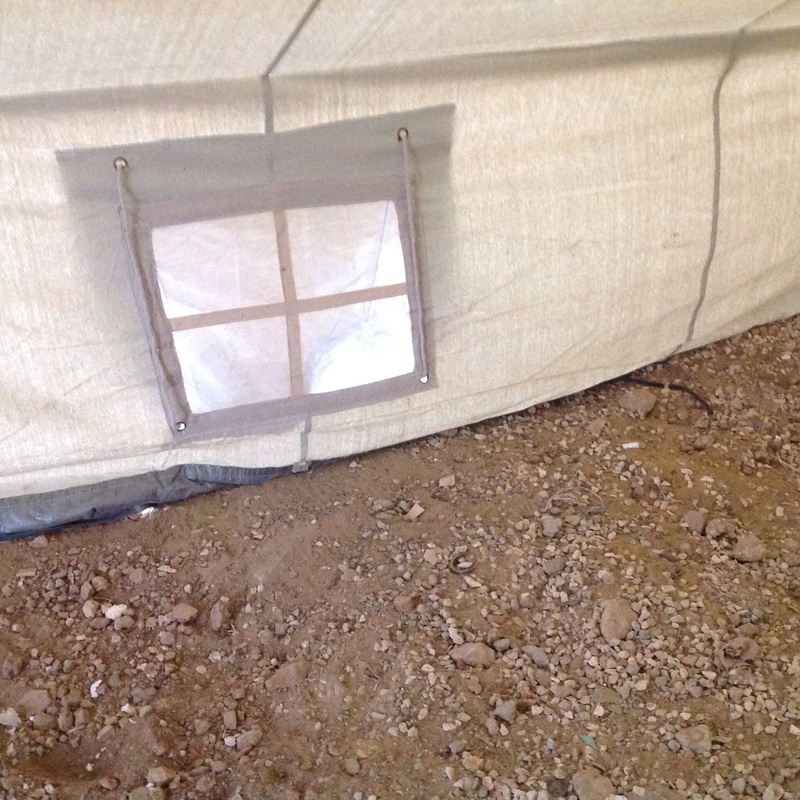 It is very basic, with a dirt floor, a tent flap opening (no zipper) at each end, and two small windows. 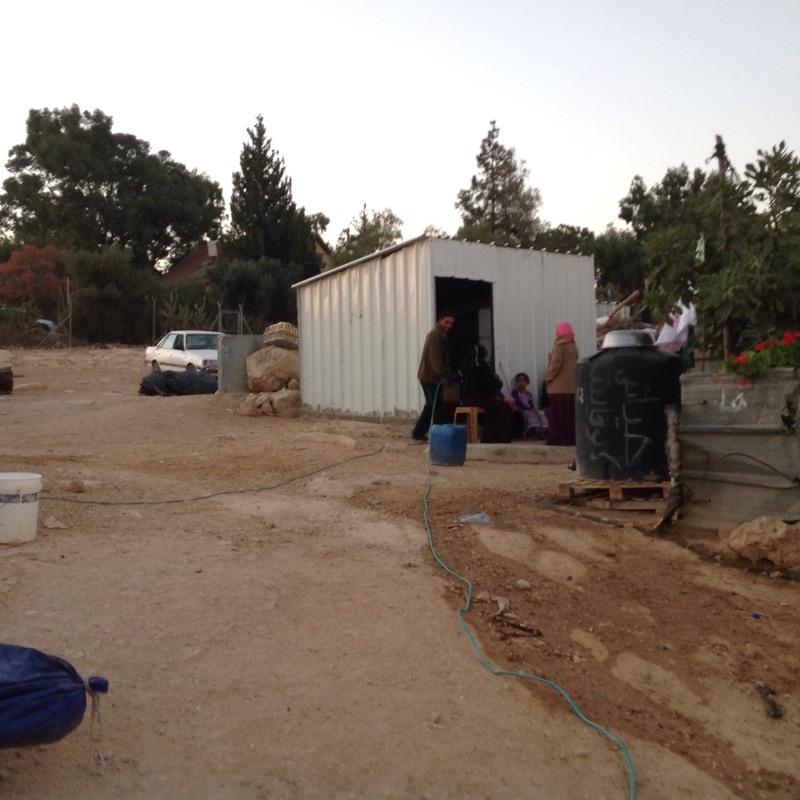 Iman, Bilal and Mohammed are currently living in a small, uninsulated shed . While it is a roof over their heads, it is cold at night and is really only big enough to hold their bed, cradle and a few belongings. The small shed Iman, Bilal, and Mohammed are living in. When speaking with them, I could sense that the stress and trauma of the last few days are clearly taking a toll on both of them. Villagers have decided to search through the rubble and salvage what they can. Yesterday, a group of international volunteers arrived to help. Israeli friends from a nearby kibbutz, members of EAPPI’s new South Hebron Hills team, a visiting women’s football team from the UK, other HIRN volunteers, and a variety of other internationals all came together to help with the work, and through our presence to show solidarity and to offer hope. 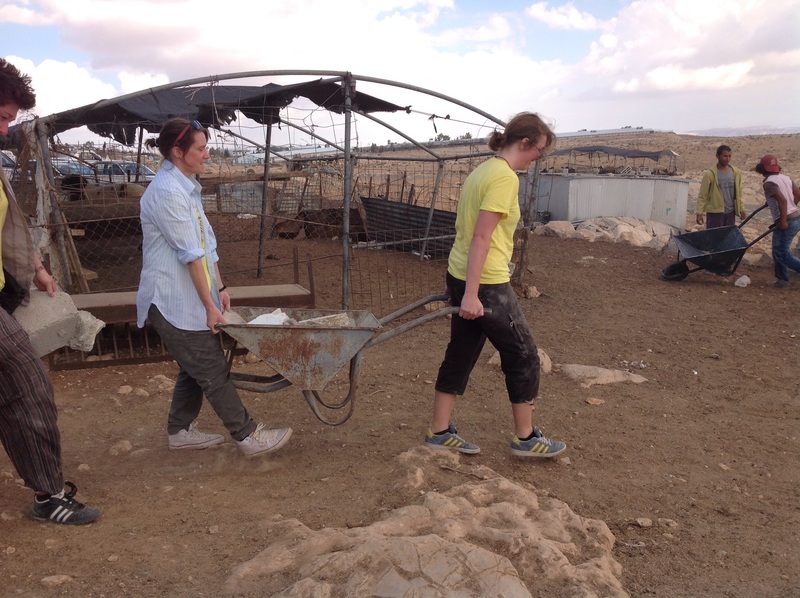 Together with the villagers, we were able to clear through much of the rubble and salvage what we could. Internationals helping to clear and salvage the rubble. Two of the British football team at work in Um al Kher. Clearing the rubble and firming up the base for the foundation of a future rebuilt house. The road ahead will bring difficulty and challenge. Our message to the people of Um al Kher is clear. You are not alone.